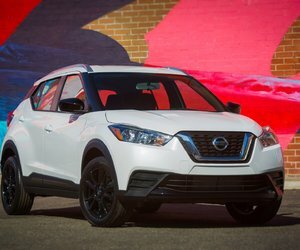 Nissan currently offers one of the largest and most complete ranges of sport utility vehicles in the automotive industry, but the Japanese manufacturer hasn’t stopped developing new vehicles just because it already seems to cover every possible SUV-related need. 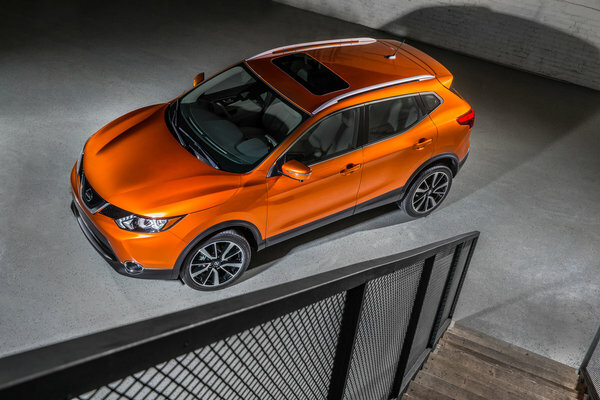 Indeed, last January at the Detroit International Auto Show, Nissan unveiled the all-new Qashqai, a subcompact SUV that will fit between the Nissan Juke and the Nissan Rogue went it enters the market in June. Available starting at $19,998, the 2017 Nissan Qashqai will offer a version for every need and budget. Here is a preview of each version of the new 2017 Nissan Qashqai in detail. But before we get to that, let's look at what is under the hood. The new Qashqai will be powered by a 2.0-liter four-cylinder engine that develops 141 horsepower and 147 lb-ft of torque which can be sent to all four wheels or just the front wheels depending on the version. A manual transmission will be offered on the entry-level model, while the other models will be equipped with a CVT continuously variable automatic transmission. The trunk can accommodate 648 liters with all seats in place, and more than 1,730 liters if you lower the rear seat. The 2017 Nissan Qashqai S will feature standard heated seats, a 5.0-inch touch screen, a rearview camera and a Bluetooth system. It will be possible to add a continuously variable automatic transmission (CVT) for $2,000 more, while AWD is available starting at $24,198. The Nissan Qashqai SV is equipped with 17-inch wheels, dual zone climate control, heated steering wheel, sunroof, remote starter, intelligent key, satellite radio and automatic headlights. It is possible to add all-wheel drive for $2,000 more. The high-end SL version offers 19-inch wheels, leather seats, a navigation system, and a 7.0-inch touch screen in addition to all S and SV equipment. 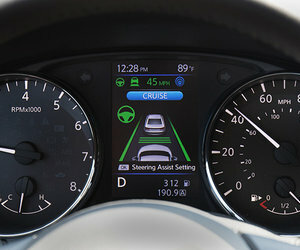 The Qashqai SV also offers Nissan’s AroundView monitor which gives you a 360-degree overhead view of what is happening around the vehicle. Needless to say, this makes it a lot easier to get around in tight spots. The 2017 Nissan Qashqai SL Platinum offers an array of active safety equipment such as intelligent cruise control, automatic braking with pedestrian detection, blind spot monitoring, lane departure prevention and automatic headlights. To learn more about the all-new 2017 Nissan Qashqai, contact us today at Stadium Nissan!